Young Hepatica has different parents. One is blue and the other white. 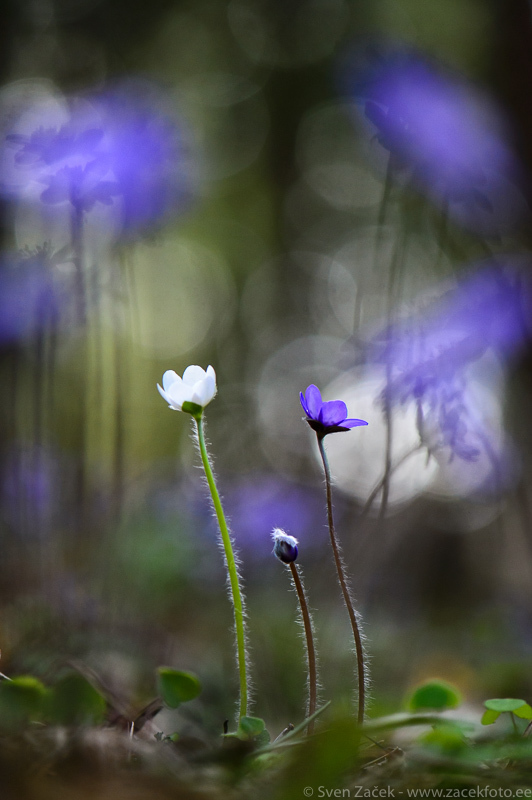 It is obvious that this is a special family, because all surrounding Hepaticas are blue.